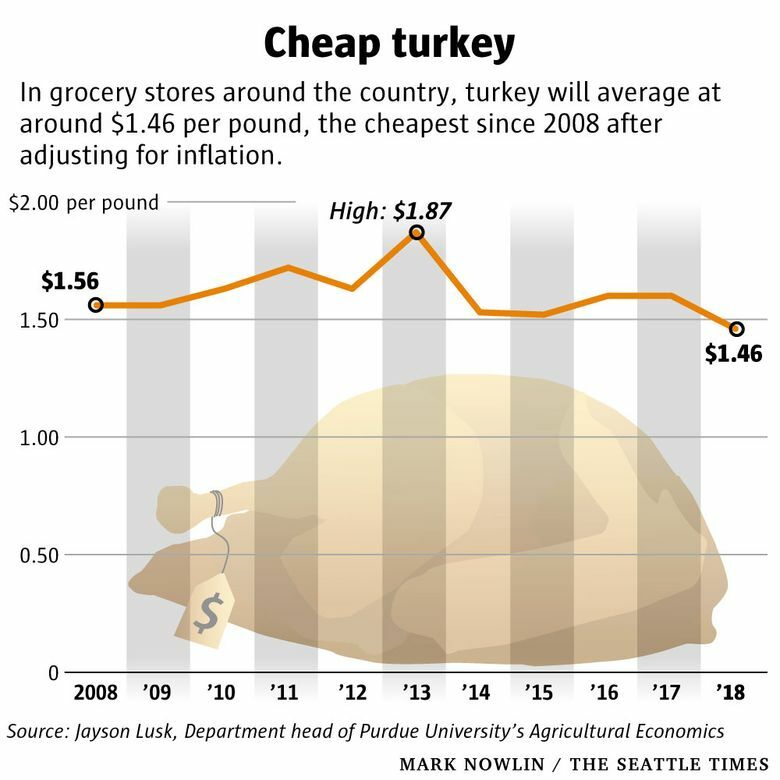 Turkey prices are lowest in a decade, but not for the kinds Washington farmers raise. Those are soaring. Presidential economics are playing out on Thanksgiving dinner tables across the country, as cheaper turkey varieties get cheaper and pricier ones surge. This Thanksgiving, Washingtonians are among Americans on the consuming end of a strange dynamic that’s been taking hold in turkey prices. Thanks to President Donald Trump, it’s getting even stranger. To sum it up: The turkeys most of us are eating this year are cheaper than they’ve been in at least a decade. But so-called heritage varieties, higher-end breeds of the animal that are allowed to live relatively normal lives before their slaughter, are getting a lot more expensive. That’s because food prices, particularly over the past three years, have either remained the same or grown at much lower rates than normal, according to federal government data. 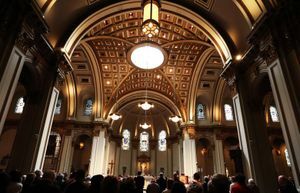 Meanwhile, Americans are enjoying the lowest unemployment rate in almost a half century and seeing steady growth to their wages, meaning more of them can afford to splurge on that special Thanksgiving turkey. The result has been a boon to heritage-turkey farmers, including a couple right here in our state. 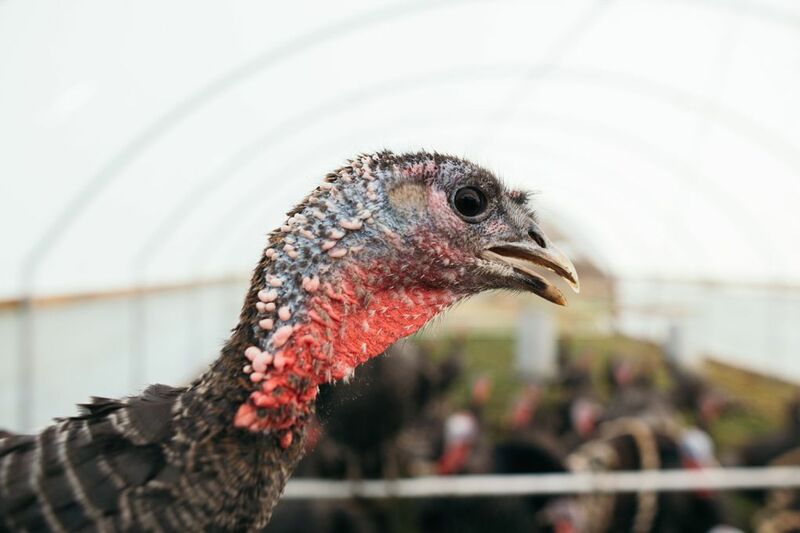 In Washington, heritage and organic turkeys are the business of small, independent farmers, and there are no commercial turkey farms licensed through the state, according to Hector Castro, a spokesman for the state Department of Agriculture. The majority of turkeys sold in local grocery stores are imported from other states, he added. Take Micha and Andrew Ide, a wife-husband team who moved here from California. 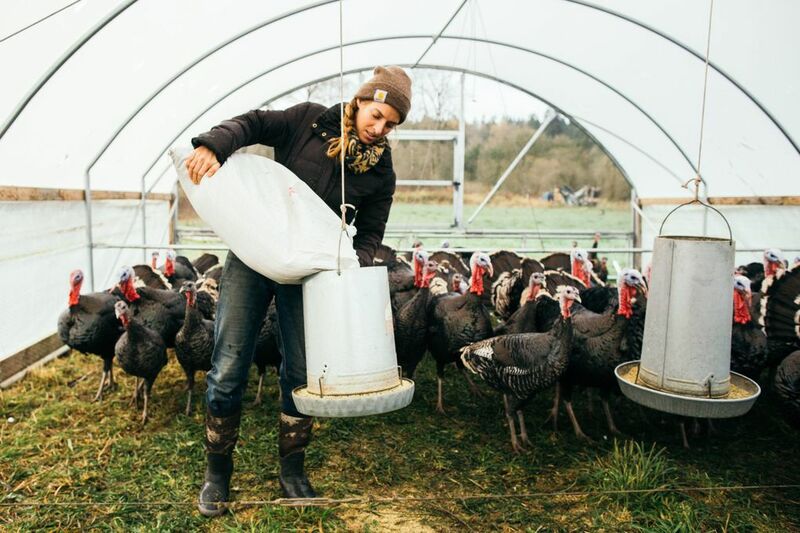 They took up animal farming over the past six years, buying late last year a 30-acre plot in Orting — a little town about 40 miles south of Seattle — where they started raising those heritage turkeys, along with chickens, pigs and lambs. They feed their animals organic, freshly-milled, non-genetically-engineered grains, give them room to roam and keep them away from pesticides and antibiotics. The pampering goes on for about eight months, double the time it takes to raise the more prevalent broad-breasted variety. At $9.50 per pound, an Ide’s heritage turkey is almost 10 times more expensive than the broad-breasted one consumers would find at a Seattle-area Costco. The price also compares with $7.50 per pound in 2017, a 27 percent surge. Regardless, their entire supply this year was sold out by July. “We are relatively new farmers. We are only in our sixth year, so part of it is just trying to figure out what the market prices will bear. 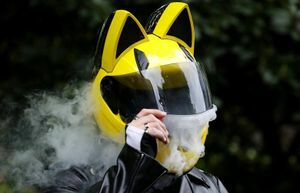 When you sell out of something in July for a November event, it’s just supply and demand,” she said. This year’s price hike for their turkeys “was a big jump for us. We usually don’t raise our prices, but there is a good chance we will keep increasing,” to cover expenses and reflect increased demand. Compare that to broad-breasted-turkey prices in grocery stores around the country, where they averaged $1.46 per pound this year, according to Jayson Lusk, who teaches agricultural economics at Purdue University. That’s down 10 cents from November 2017 and the cheapest since 2008, after adjusting for inflation, Lusk said in an emailed report this month. Unlike organic and heritage turkeys, broad-breasted turkeys are kept in crowded enclosures, treated with antibiotics, aren’t able to mate naturally and often aren’t able to stand by the time they are slaughtered because their feet can’t support their weight. Lower turkey prices are part of a bigger trend of low or stable food prices, based on data from the Bureau of Labor Statistics Consumer Price Index. Prices of the food we cook at home are up just 0.1 percent over last year, compared with a 20 year average of 2.1 percent. That’s where President Trump comes in. Remember those tariffs the Trump administration levied on imports of Chinese steel and aluminum last spring? Well, China responded by imposing tariffs on U.S. agriculture exports. That flooded the U.S. with products like soybeans — the same ones that feed turkeys on commercial farms — that would have otherwise been exported, driving animal-feed prices down. In some cases, farmers were forced to let their crops rot because it was cheaper than paying for storage. Cheaper animal feed encourages more overall farm production. Within the past decade, the agricultural industry itself has also gotten more energy efficient, contributing to lower prices for consumers, Lusk said. But it’s not just the niche heritage-turkey farmers who are benefiting from higher demand that’s driving up their prices. 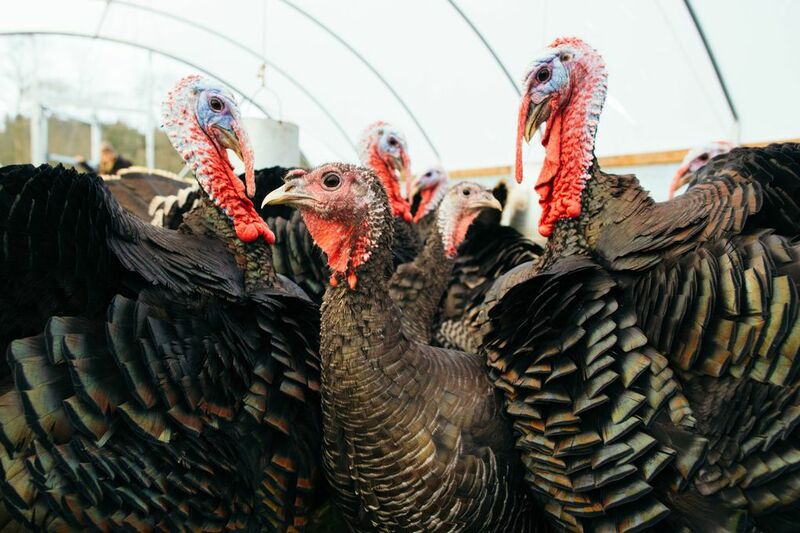 At Hogstead Farm in Marysville, organic farmer Luke Conyac has seen increased interest in his turkeys compared with previous holiday seasons. Although he is mainly a pork farmer, Conyac is already sold out of turkey for the season. Conyac sells organic broad-breasted turkeys, which are subject to more stringent standards than nonorganic commercial operations. This season he sold his turkeys for $5.25 per pound, up 50 cents from last year. 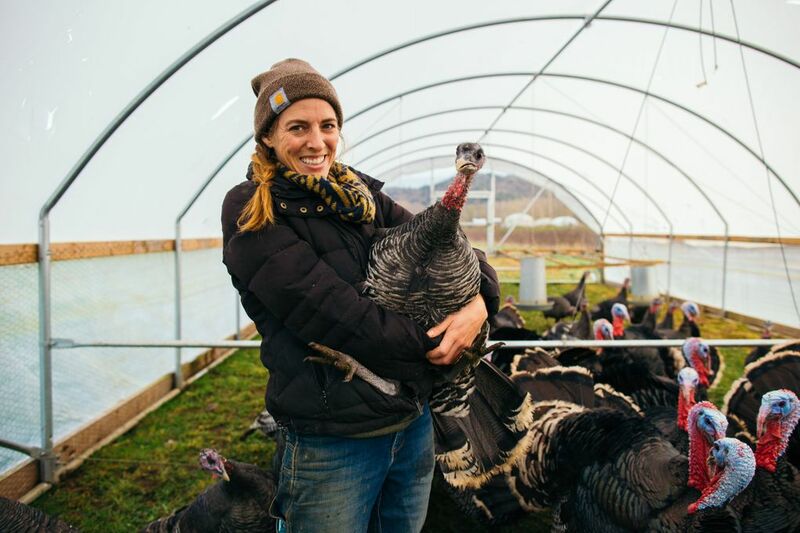 Back at the Ides’ farm, Bright Ide Acres, Micha Ide has some advice for those interested in trying out her turkeys. Because of the length of time it takes to raise the animals, she has to get a feel for demand at the beginning of the year to determine how many poults, or turkey chicks, she will purchase to raise. Her advice: Contact your farmer in the spring.